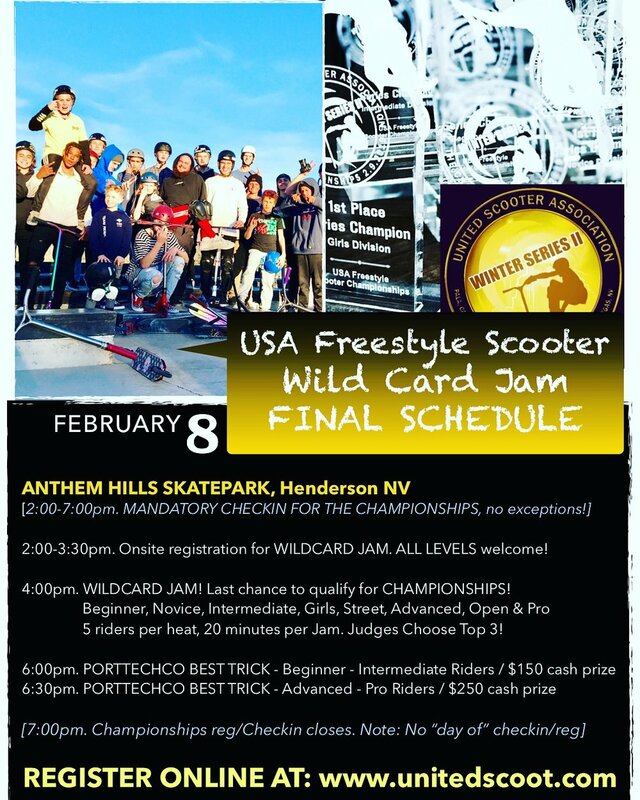 USA WINTER SERIES II CHAMPIONSHIP WEEKEND IN LAS VEGAS! REGISTRATION FOR THE CHAMPIONSHIPS HARD CLOSES FRIDAY, 2-8, AT 7:00PM OR WHEN THE DIVISION IS FULL. WHICHEVER COMES FIRST.closed divisions: pro, Novice & Intermediate. we are Still accepting registrations for “qualified” Beginners, girls, street, advanced & open. and for the wild card JAM (ALL divisions). please register below asap! SCENES FROM LAST YEAR’S SERIES - this year we have added more locations in more states to help grow the sport! SPORTSMANSHIP! We would like to make sure all riders (and parents/spectators) know that unsportsmanlike or inappropriate conduct is cause for removal from the park and potentially the series. We ask all riders to lead by example, do not throw equipment, question the judges, quit mid-run (unless injured), or use vapes/drugs, or foul language in public. Remember there are young riders who look up to you and will emulate your attitude and behavior. Please be a good role model. Thank you. ALL TIMES SUBJECT TO CHANGE DEPENDING ON FINAL COMPETITOR NUMBERS.